When you’re the administrator of a shared computer, you might want to disable certain features. 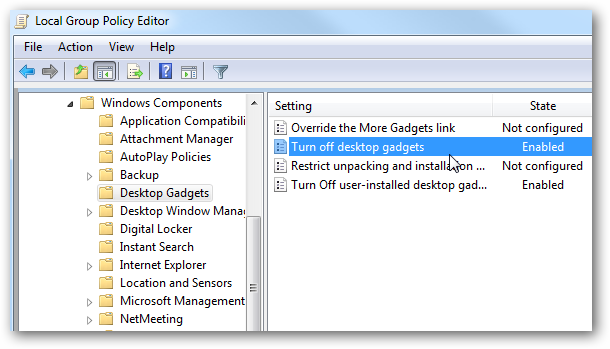 Today we look at how to disable Desktop Gadgets that a user installs, or how to disable them all together. 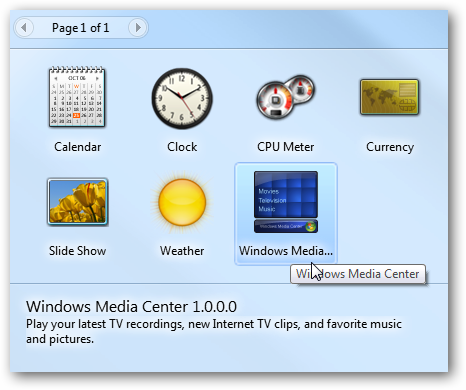 Note: This method uses Local Group Policy Editor which is not available in Home versions of Windows 7. A user installed gadget would be one they install from another location on their own. 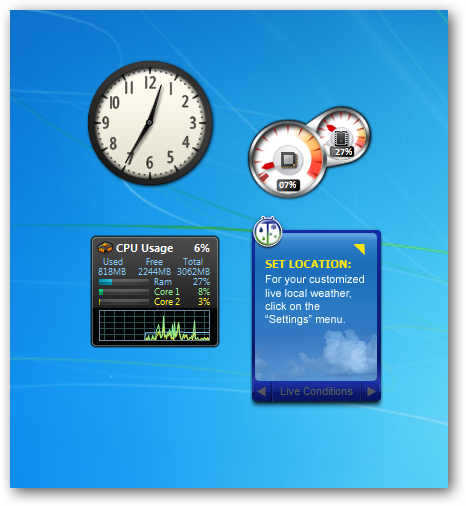 For example, here we take a look at a user account who has two gadgets included in Windows 7 installed. And also two they installed themselves from the Microsoft site. 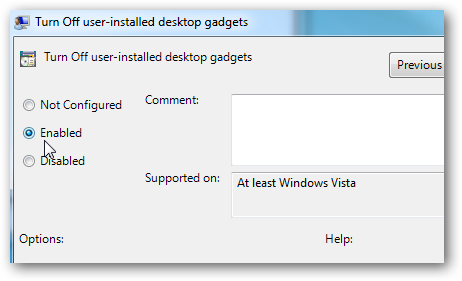 In this example we look at disabling gadgets the user installed, but keep the default gadgets that came with Windows 7. Click on Start and enter gpedit.msc into the search box and hit Enter. 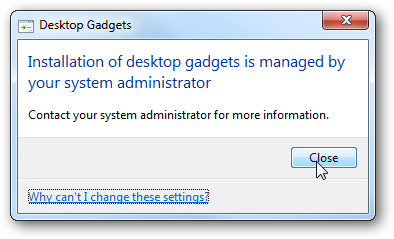 Now in Local Group Policy Editor navigate to User Configuration \ Windows Components \ Desktop Gadgets then double click on Turn Off user-installed desktop gadgets. 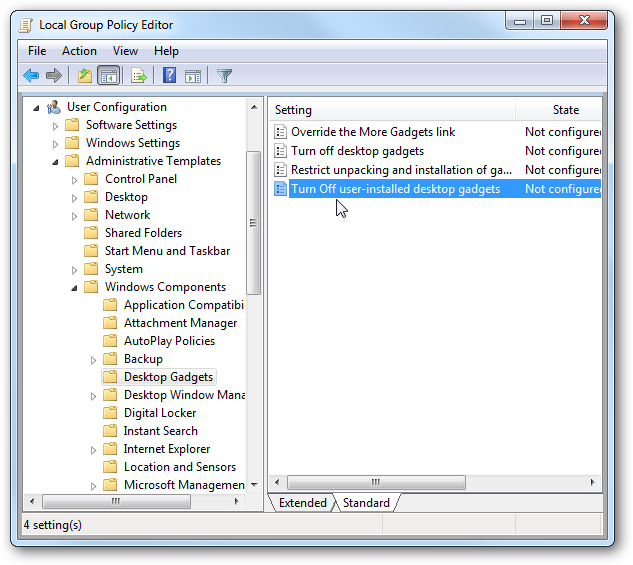 Now just Enable the setting, click Ok, then close out of Local Group Policy Editor. For the change to go into effect, you’ll need to log off all users then back on the machine. 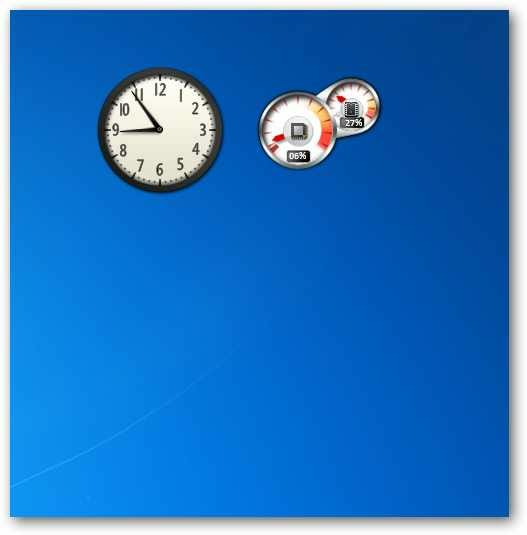 When the user goes back into their account they will only see the two default Desktop Gadgets showing, and the ones they installed will be gone. If they try to install them again, they will get the following message. Of course they will still have access to the default Gadgets that come with Windows 7. 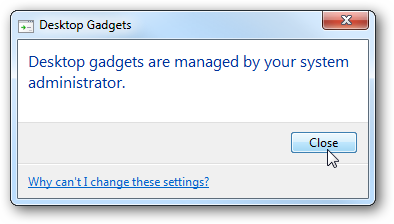 You might want to disable all gadgets, including the ones that came with Windows 7. To do that, just go into the same place in Local Group Policy we were at in the steps above, but this time Enable Turn off Desktop Gadgets. Again you’ll need to log off all users and log back on for the changes to take effect. Now when a user tries to access the Desktop Gadgets Gallery they’ll receive the following message. If you don’t want users messing around with any Desktop Gadgets, or just want to allow access to the ones included with Windows 7, this is a good way to get restrict them.